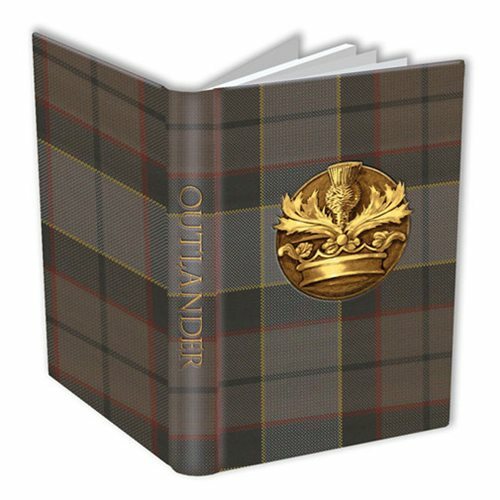 Write your own adventurous love story in this Outlander Crown and Thistle Journal! The custom tartan pattern from the show is reproduced on a buckram style stock, giving the cover a fabric feel. The Crown and Thistle is isolated in spot varnish to create contrast. The journal features lined, duotone interior pages. Ages 13 and up.